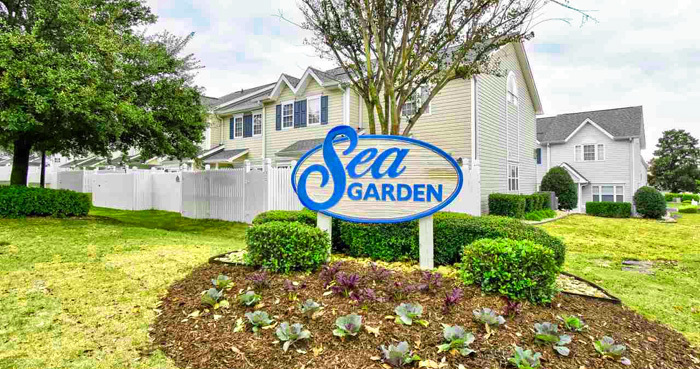 Sea Garden is another "secret" community of delightful homes, located on 3rd Avenue, indirectly behind the Kroger shopping center on Main Street. This is the perfect golf cart neighborhood, with quiet streets perfect for a fun ride to all the nearby stores and restaurants - as well as the beach. You can take the back streets and go to almost all of the nearby shopping complexes, from Walmart to the new North Coast Shopping Center. These are spacious 2 bedroom, 2.5 bath two-story townhomes with fenced in patio areas to store the golf carts and all your playthings for beach living. Though virtually maintenance-free, you will still own the land and exterior of your unit, which prevents any issues with condo-hotel rules and mortgage problems. The community was developed in 2000, so the landscaping, trees, and shrubs are mature. 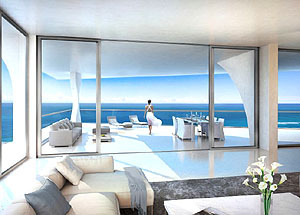 Living space is 1100 sq ft in the homes, and prices range from the low to mid $100,000's. Quite the bargain! These townhomes are perfect for a primary residence as well as income-producing vacation condos, with kids attending Ocean Drive Elementary, North Myrtle Beach Middle, and High Schools. It is also very near McLean Park, which offers a lake, playground, tennis courts, weekend bands, and other entertainment during the season. It's not a big tourist area, so offers a low traffic and quiet place to call home. SOS lovers will appreciate the convenience to all the clubs and festivities, too. If you'd like to see one of these pastel-colored beach homes, give us a call for a tour and see why the Sea Garden townhomes are so popular in North Myrtle Beach.